Above my writing desk I have a small shelf where I keep only the most inspiring and influential books I’ve read. When I find myself stuck, I’ll often take them down, open to a random page, and reread passages to be reminded of what mastery of the written word looks like. Here are the five ‘old faithfuls’ I invariably find myself cracking open. It should be said that McCarthy sometimes isn’t the easiest author to read. He’s an immeasurable talent who plays by his own rules of writing, breaking countless others as he does his thing. 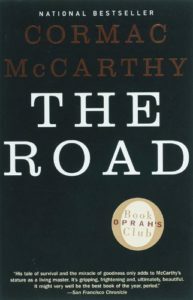 But ‘The Road’ is arguably his most accessible work, and a hell of a piece of speculative fiction. 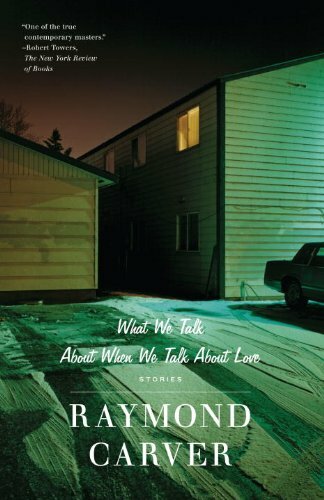 The prose is minimal and frighteningly effective, weaving a bleak world with the all right words and perfect pacing. It’s so sparse and fluid; yet holds surprising warmth in a world created out of coldness and indifference. It’s mastery more easily digestible than some of his prior works. 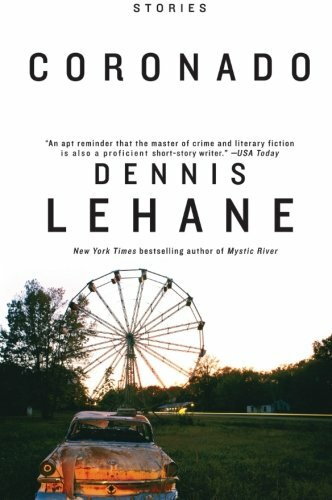 If there’s one author I think is the perfect blend of literary and commercial, it’s Lehane. An insanely good storyteller, D.L. writes with real depth and goes quite dark, but the end product is smooth and authoritative. They’re the kind of works that make for terrific movies too (Gone Baby Gone, Mystic River, Shutter Island, The Drop). ‘Coronado’ is a short story collection that proves to be a crash course in the art form done right. Lehane makes writing look too damn easy, and I know from experience how unbelievably hard it is to pull that off. For such a small book, I got an awful lot out of it. Big ideas unfolding in small worlds are what you’ll find in Coronado. This was the book that showed me how far you could stretch your prose and still have it sound dynamite. 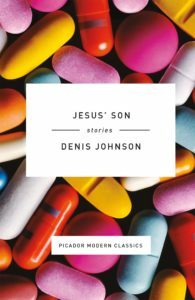 A drug-addled mix of loosely interconnected stories, reading it is like navigating through a string of dreams, both blissful and bad. The spectrum of themes is considerably wide. Everything from love and loss to happiness and sheer horror is covered. One moment the writing is slick as oil, the next it is jagged as broken glass. It’s downright chaotic in places where the mental states of the storytellers are in question. You know the main characters in this book are all unreliable narrators, but you still believe every word they say, because the stories Johnson tells are just that convincing. As someone who's always looking to improve his craft, I'd love to hear what books made you a better writer? Feel free to comment below or hit me up on twitter. Great list! I’ve read all but Coronado and Jesus’ Son. I’ll definitely have to check those out soon. The Road is one of my favorites, hands down. 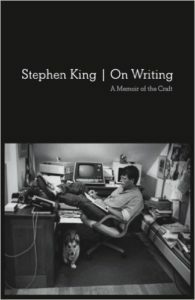 The book I recommend the most, and I loved King’s book on writing too, is David Morrell’s ‘The Successful Novelist: A Lifetime of Lessons About Writing & Publishing.’ Perhaps it is because I have been a huge fan, and have met him on a couple of occasions, I felt drawn to the book. He talks about the business of writing as well as how to hone your skills. Each chapter is described as a lesson and I felt I learned from this regarding especially structure and viewpoint, and he writes a chapter on the first person, which is how my next novel ‘Kettle of Vultures’ is written. He makes the experience more personal than King and I appreciated that. Really felt he was talking just to me.